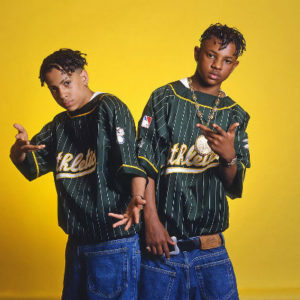 Kris Kross – the name brings to mind some serious nineties nostalgia. Did you get swept up in the trend of wearing your clothes backwards? The early nineties was an exciting time for music in general, and hip hop and rap music specifically. 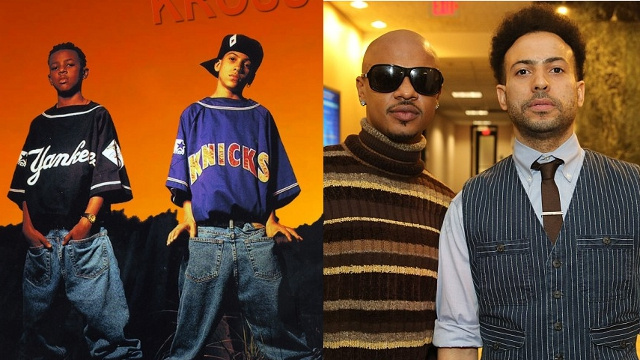 The nineties music scene welcomed rap duo Kris Kross with open arms, even though they were just 13 at the time. Everyone remembers their big hit, “Jump,” which was released in 1992, and their signature fashion style of wearing their clothes backwards. So where are they now? First, we have to start from the beginning. 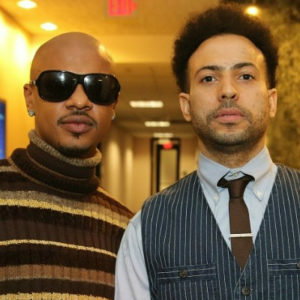 Kris Kross is comprised of two members – James Christopher “Mac Daddy” or “Miggida Miggida Mac” Kelly, and Christopher “Daddy Mac” Smith. They grew up in Atlanta, and met in the first grade, when they became friends. They started performing together at an early age, and they were discovered by famous rapper and producer Jermaine Dupre at a performance at a shopping mall. They released their first album Totally Krossed Out in early spring of 1992 after being signed to the Ruffhouse Records label. Dupri ended up producing the entirety of that album to great success. Their first and most remembered single, Jump went straight to the top of the Billboard Hot 100, and stayed there for an impressive eight weeks. At the time, that was the longest run at number one for any rap song. The second single off of Totally Krossed Out was the confident “Warm It Up,” which only made it to number 14 on the charts. This was enough to push the album to multi-platinum status. People took notice. They were recruited to open for Michael Jackson’s Dangerous World Tour, and they even made an appearance in the King of Pop’s music video for Jam. Around this time, TLC, a all-girl R’n’B group that is also nineties famous, had the boys in a video for their single Hat 2 da Back. 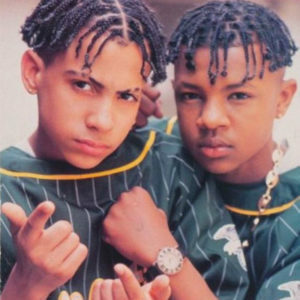 Around this time they also released an ill advised Sega CD game called Kris Kross: Make My Video. In it, you could make your own Kris Kross video fr their songs using stock footage, original music videos, and various 90’s style video animation effects. It did very poorly in sales, and the critics tore it apart. Kris Kross: Make My Video had the honor of reaching #18 on a 20 Worst Games of All Time list published by Electronic Games MOnthly. IN Late 1993, Kris Kross Da Bomb, their second album. The young Chrises saw another success with that album – it went platinum. Their last album together, Young, Rich & Dangerous, also marked the end of the group. That’s not to say that the album was not a success. It was certified gold, and selling around 500,000 copies worldwide. After that, they did record another album with new record label, Judgement Records. But, sadly, this 25 track album was never released. Kris Kross disbanded, moving on to sparse solo careers and relative obscurity. Each of them went into production, and song writing. One of the Chrises, Chris “Mac Daddy” Smith briefly came out of retirement on a solo basis. He released two new rap singles. These were both interesting diversions from Kris Kross’ music, exuding positivity, and a social justice slant. One such song, Lady, called for an end to the rampant misogyny and sexism in hip hop and rap culture. The album, Urbane Expressions, was released after the singles came out, and was again produced by Jermaine Dupri. You can now follow Christopher “Mack Daddy” Smith on Twitter, and YouTube. He recently released a short film called Gas Clutch. His website urbanemuse.com shows a sensitive, multifaceted person. In addition to his music, you can also check out his paintings, sketches, and multimedia work. 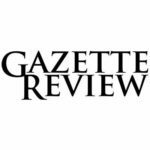 His t-shirts on the sight proudly proclaim “Art Over War.” And if you are a fan, there’s good news! His Twitter feed hints of new music on the way. His current music stash is available on Soundcloud and YouTube. It’s always interesting to see how former celebrities have evolved over the years when they’ve dropped out of the public eye. This is especially true when the artists are so young at the height of their fame. It seems like the two sides of the duo took the decline of their fame in different ways. It seems like Chris “Daddy Mack” Kelly went the way of many former child stars, and tragically ended up dying of an overdose at an early age. The other Chris ended up really revolutionizing and growing with his art, and is still creating things, and sharing them with fans, even if he is no longer in the spotlight. You got the macks and daddies backwards in the latter half of the article.